Oh, and how ’bout that message on the back of the popular toothpaste packets? And I quote, ‘WARNING: Keep out of reach of children under 6 years of age. In case of accidental ingestion, seek professional assistance or contact a Poison Control Centre immediately.’ I don’t know about you but this is disturbing! And the warnings are right there on the back if you read them!!! Baking Soda, Xathum Gum, Stevia, Vegetable Glycerin, Water, Grapefruit Seed Extract, Essential Oils. I have used this one, it cleans just as well as my previous popular brand. 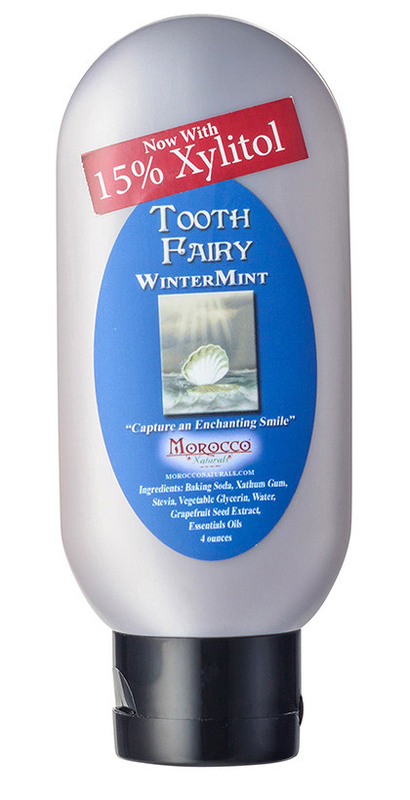 It leaves a fresh minty taste, and none of that over-the-top fake mint taste that regular brands leave. It also doesn’t froth and bubble like popular chemical-laden brands. I have also used this one, in fact I interchange between this and the Tooth Fairy above. It is creamier to use, and smooth. 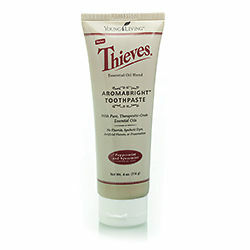 It has a minty taste with undertones of cinnamon and cloves (from the thieves essential oils). It also leaves a fresh minty taste, and none of that over-the-top fake mint taste that regular brands leave. Again, it doesn’t froth and bubble like the popular common chemical laden brands. Purified Water, Food Grade Redmond Clay, Xylitol, Peppermint Essential Oil, Menthol, Redmond Real Salt, Tea Tree Oil. I haven’t tried this one, but it’s next on my hit list. The Sunnybrook website says,’It’s toothpaste unlike any other you’ve experienced – you’ll see the difference on your brush and feel the difference in your mouth’. organic Aloe barbadensis (aloe vera) leaf juice, sodium bicarbonate, organic citrus limonum (lemon) essential oil, non gmo xanthan gum, sea salt, stevia citriadora (lemon myrtle) essential oil. I can’t wait to try this one too! 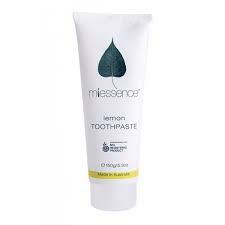 There are other flavours in the Miessence family as well including mint and anise. The next time you’re shopping for toothpaste don’t trust the healthy claims on the packaging, even if they’re independent brands, have pretty ‘natural’ pictures of fresh mint and labels like ‘organic’. Always check the ingredients, most of the time you’ll be replacing one toxic ingredient for another if you’re not careful. 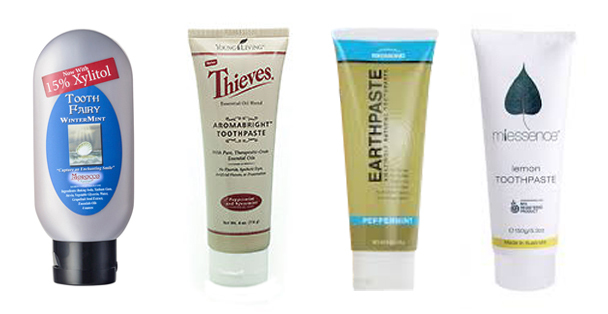 The above toothpastes are worth sourcing, they’re easy enough to find in your local area, and well worth the peace of mind knowing you’re not layering up with extra toxins that your body (and your family’s bodies) have to deal with down the track. Before you ask, YES! You can make your own toothpaste! I’ll provide a recipe soon, promise. At the very minimum you can simply use baking soda. Feeling fancy? Add a few drops of peppermint oil. Even more fancy? Add some coconut oil, that’ll make it ‘pasty’… Or you could even use plain old salt. I hope you found this info helpful! Like this post? Come and see me on FaceBook and share the love with a ‘like’ or a ‘share’! Mwah! Disclaimer. I am not paid for my reviews. My opinions are my own based on the research that I have conducted over many years. I use various resources to find my information. An excellent resource is an app called ‘Chemical Maze’, other resources include the Good Guide, the Environmental Working Group (EWG), as well as the internet. You can find lots of information if you scratch beneath the surface. My aims are to clean up my life and home and to share what I find with you so you can do the same if it’s that you want to do. This is a great post. 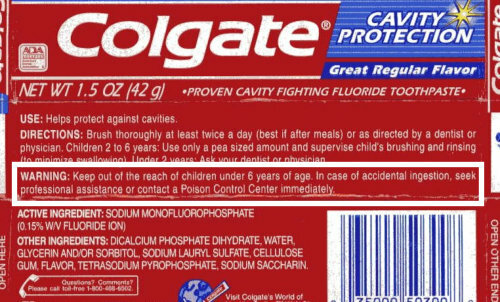 I tried a natural fluoride free toothpaste when I was pregnant with my youngest but totally was not happy with it. I never thought about the sub-lingual absorption too much though, you are absolutely right! I will be trying chemical free versions until I get a good one. Thank you for the suggestions! Thank you! Yes, it’s worth persevering with natural products. They take a little getting used to because they don’t froth, bubble, smell or taste like popular brands however with time (like with processed food), the popular brands start to feel and taste weird. And that’s how it should be! 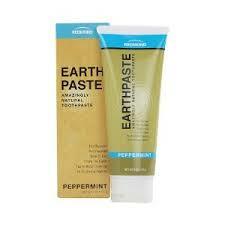 Toothpaste is a good because it takes ages to use so even if you pay more it still goes a long way. You’re lucky living in the USA because some of the best natural products are half the price of what you’d pay in Australia. Aaargghh!! Don’t even get me started on what we pay here!! Not to mention postage costs!! When my blog is popular and amazing I shall write about it and possibly sell the best brands for a reasonable price, and make them easily attainable. Thanks for your comments!